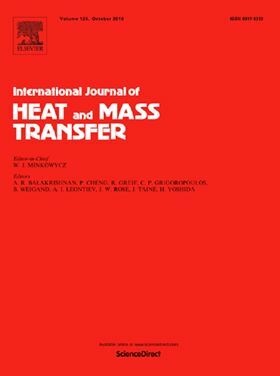 The research article 'Churning losses analysis on the thermal-hydraulic model of a high-speed electro-hydrostatic actuator pump' has been published in Elsevier's International Journal of Heat and Mass Transfer. The speed of electro-hydrostatic actuator (EHA) pump can recently reach a maximum of 20,000 rpm due to its high power density requirements. The thermodynamics of EHA pumps become increasingly important because the oil in the casing is used to cooling the high speed electric motor and solving the “hot spots” problem in the EHA system. In order to realize the boundary condition for the motor cooling at high speeds, more investigations should be given to the churning losses in terms of the large centrifugal forces of piston/cylinder assemblies and high fluid kinetic energy in high-speed conditions. This paper analyzes the influence of churning losses on the thermal-hydraulic model. Using the control volume method, heat transfer analysis of the piston pump is presented and the heat flow inside the piston pump produced by churning losses is described in details. The steady-state leakage temperatures of the high-speed EHA pump are simulated and validated through experiments. The experimental results show that the churning power losses need to be considered on the thermal-hydraulic model to ensure good performance for the prediction of the leakage temperature in EHA pump.